Migraines are often considered really bad headaches, but they are actually more complex than that. In fact, in some cases the person may not even have the typical headache pain associated with a migraine episode. Migraines consist of a combination of neurologically-based symptoms that can include up to four different phases, with a unique set of symptoms possible for each phase. Each phase may not be experienced during an episode, as each episode can vary from the last. While migraine episodes are not exactly predictable, there are four distinct stages or phases that a migraine sufferer could experience. Knowing about these different stages of migraine episodes can be helpful for migraine sufferers to properly diagnose or possibly prevent an attack from getting worse. headache that is typically localized to one side of the head (though it can shift from side to side or be on both sides), throbbing or pulsating, lasts between 4 and 72 hours, and is made worse by physical activity. The atlas bone houses the brainstem within itself, protecting this vital member of the body’s central nervous system. There is still a lot to learn about migraine disorders, but it is now understood to be a neurological condition. In situations where the atlas has misaligned, it can cause irritation to the brainstem and the tissues surrounding it, affecting its normal function. Healthy blood flow to and from the brain requires proper atlas positioning. Misalignments can slow regular blood flow to the brain, a contributing factor for migraine sufferers. Cerebrospinal fluid (CSF) drainage and flow can be disrupted by an atlas misalignment. CSF gets produced in the brain and then cushions the delicate tissues of the brain and spinal cord in addition to eliminating metabolic waste from these tissues. 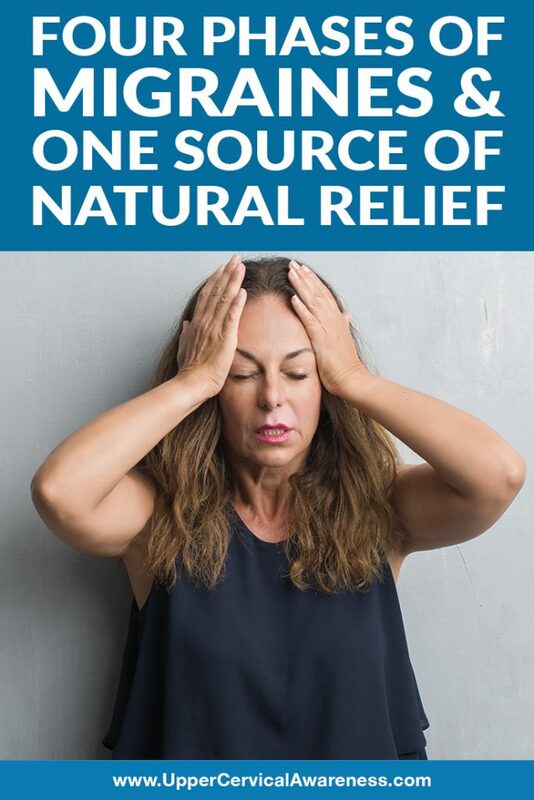 Each of these can be a contributing factor in the development of migraines that could potentially become a chronic condition. If you are currently suffering from migraines, whether infrequent or chronic, getting your atlas alignment examined by an upper cervical doctor is an important part of finding a lasting solution, particularly if you have any history of head or neck injury. The goal of an upper cervical doctor is to restore proper atlas alignment, thereby correcting the underlying cause of migraines and similar headache-related conditions. Once an atlas misalignment is confirmed as a factor in your situation, we will apply a gentle and precise upper cervical chiropractic adjustment, specifically tailored to your problem. This helps to begin the body’s natural healing process, resulting in both short- and long-term benefits and improvements to the quality of your daily life.